Emirates is introducing seasonal treats to celebrate Easter on board and in select airport lounges worldwide. 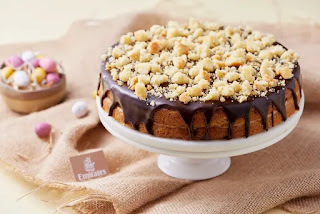 The Easter menu is available to customers in all cabin classes from 19 to 23 April when travelling from Dubai to destinations in Europe, Australia, New Zealand, USA, Argentina, Brazil, South Africa, Ghana and the Philippines. Emirates will also observe Orthodox Easter with special menus for customers travelling on flights from Dubai to Russia and Greece on 28 April. 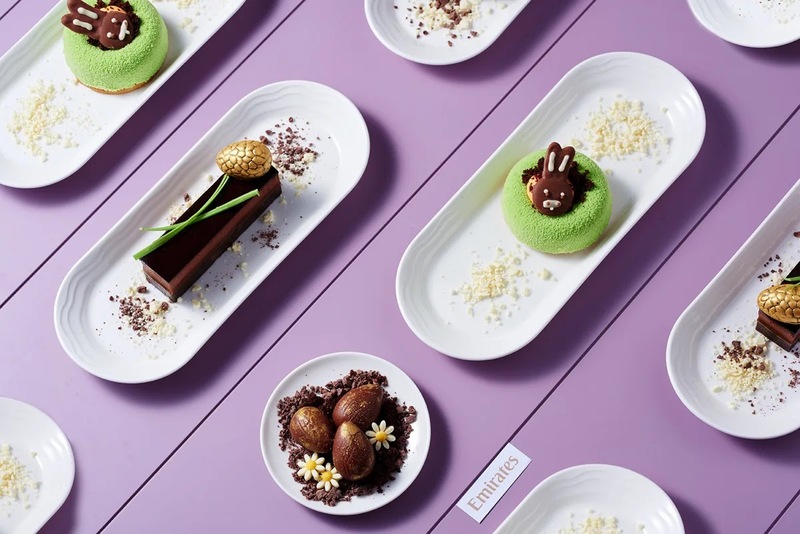 On board, customers can look forward to Easter buns handmade using Emirates’ signature recipe with spiced dough and orange peel, sultanas and currants; and children will be delighted with desserts featuring the Easter bunny. Those flying in premium classes will be able to choose from Easter-inspired desserts. First Class customers can also look forward to an Easter edition of the Lakrids “Egg” Dulce de Leche Liquorice Balls in their personal goodie baskets. This seasonal offering is in addition to the regionally-inspired cuisine served on all Emirates flights. From 21 – 22 April, all seven Emirates lounges at Dubai International Airport and most of the airline’s dedicated Emirates lounges around the world will also introduce Easter specials. 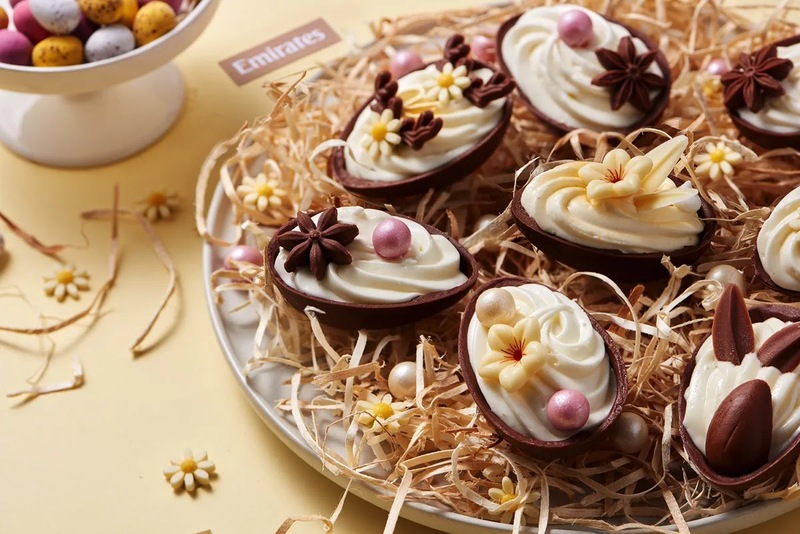 In Dubai, customers can savour traditional Easter buns, Simnel cupcake, carrot cake and Banoffee desserts. For the entire week, Coffee Planet will serve festive drinks such as Marshmallow Mocha and White Chocolate Breve. At Emirates lounges in other international airports, frequent flyers and those travelling in Emirates First and Business Class can enjoy Easter menus with different local highlights such as Roman lamb chops served with artichokes and mint in the Emirates Rome lounge, Traditional South African Pickled Fish in the Emirates lounges in Cape Town and Johannesburg, Easter bread in the Emirates Kuala Lumpur lounge and Easter leg of lamb in the US lounges. Customers travelling during the Easter break can enjoy over 4,000 channels of on-demand entertainment on ice, including over 1000 movies from around the world. New family-friendly movies include Dumplin’, Christopher Robin, Freaky Friday, The House with a Clock in its Walls and Mary Poppins Returns. With such a broad array of entertainment on offer, customers can create their own playlists of music, movies and TV shows on the Emirates app ahead of their flight and sync it to their seats once on board to maximise their enjoyment time. The Easter celebrations on board and on the ground are part of Emirates’ commitment to enhance the customer experience with unique and seasonal offerings.